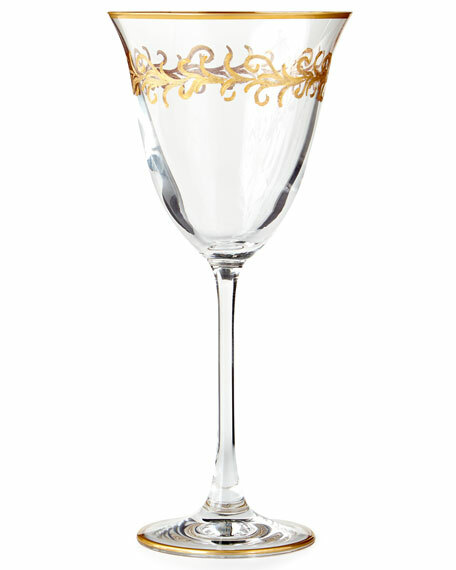 Handcrafted, hand-painted glass faceted flutes. 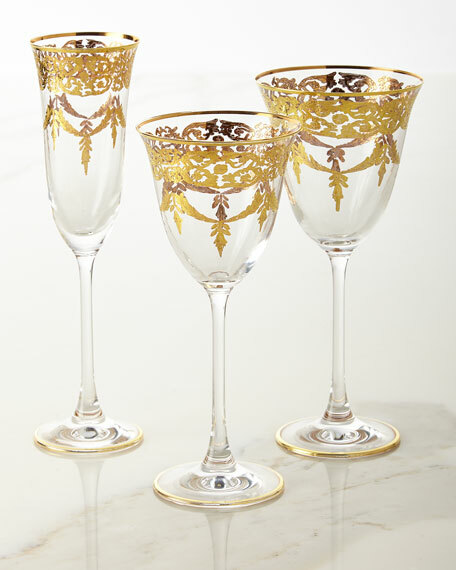 EXCLUSIVELY OURS.Blush Oro Bello water goblets.Each, 3.74"Dia. 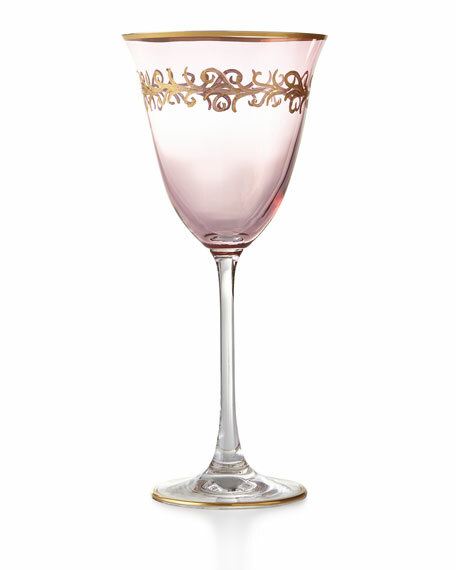 x 8.26"T; holds 8.79 ounces.Beautifully hued blush and clear glass with hand-painted 24-karat gold detail.Handcrafted set of 4.Hand wash.Made in Italy. 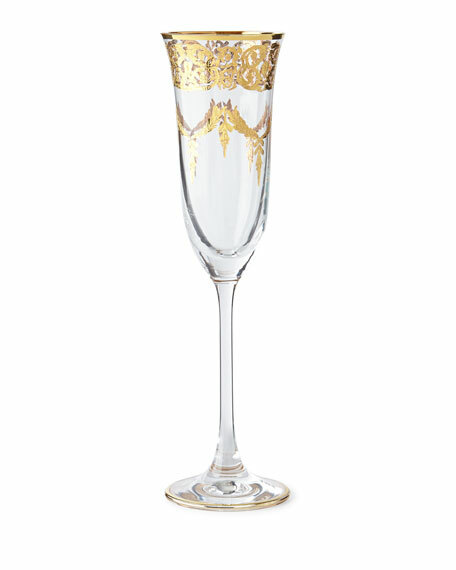 EXCLUSIVELY OURS.Handcrafted, hand-painted glass faceted flutes.Assorted four-piece set. Golden rims.2.4"Dia. x 9.25"T.Hand wash.Made in Italy. 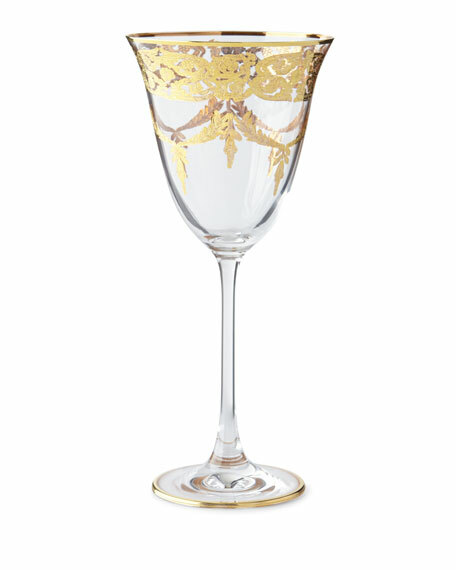 EXCLUSIVELY OURS.Handcrafted water goblets.Glass with hand-painted 24-kt. gold decoration.Set of four. Each, approximately 3.75"Dia. 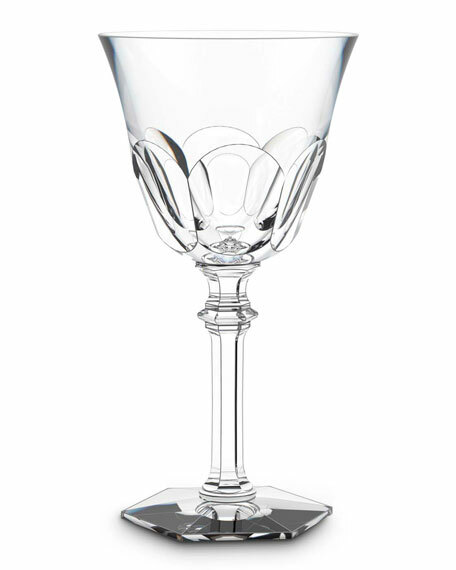 x 8.5"T; holds 8.79 ounces.Hand wash.Made in Italy.